It's nice trying to compare two cars but all wheel drive and $30K more will definitely give you a lot more, can you imagine a vette with all wheel drive? I really wonder though. It does have less Bhp/Torque, w But only bigger front tyres, But stickier tyres, And shorter gears. Along with that big weight advantage, But it also has less weight on the tyres. I honestly don't know. But after 110Mph the ZL1 pulls away HARD. I would imagine the new Z/28 would be faster than this in acceleration. It's certainly has less hp/torque, but I think the bigger tires and less weight will play a huge roll and most likely will be faster. It ain't pushin' only 580 bhp! That was the underrated amount of power in case fo' insurance. 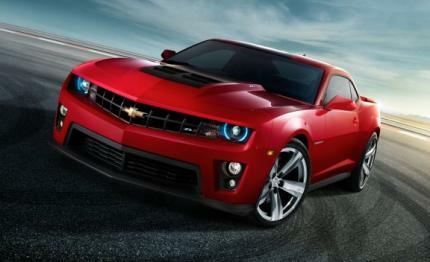 I've been seein' the stock ZL1s pushin' 610-620 bhp stock! Mine's got dyno tested up to 688 (!!!!!!) bhp stock!!! Search it up on YouTube. Can this do an 11.2 with the best driver? Dunno. Never herd anyone taking off THAT much time from the best mag test before. This can do Under 11.7@124+ no doubt, But its hard to guage. But im surprissed no mag has gotten better then 12.0@119Mph, You would think this would be faster then a CTS-V in acceleration, But I wonder if its actually making 580Bhp. And more to the question, Will the Z/28 be faster in acceleration? Less power and torque, But also 300Lbs lighter, Shorter gears, more racy suspension, grippier tyres, And theres the N/a Vs Sc part too. I dunno though. Doubt. Also the video reference doesn't really look reliable to me. UMM... you mean same as an Aventador + 1 full second right? 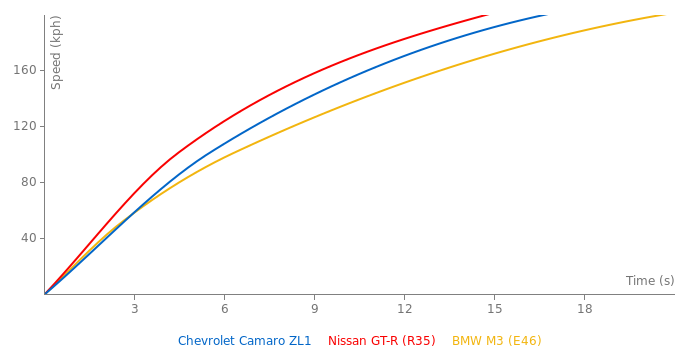 The best the ZL1 has done was 0-100 km/h in 3.2 seconds and 0-200 in 11.2 seconds, similar to what someone else here has made (the data). And of course that was the coupe, not the convertible. 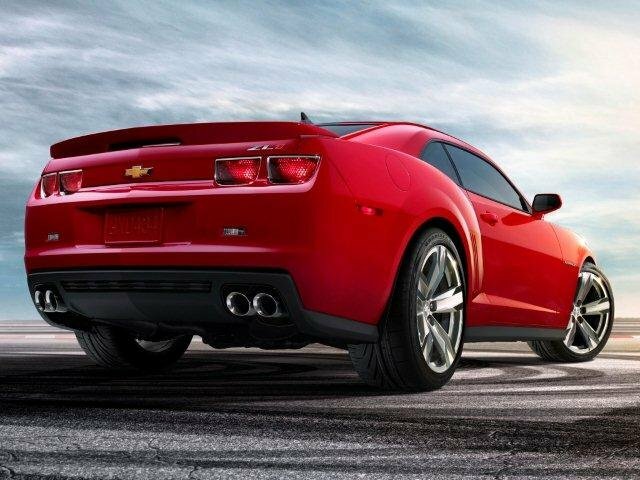 The 0-60 in 3.08 seconds and 1/4 mile in 11.07 seconds is possible for a manual ZL1, but not for an automatic one. I believe the ZL1 can get up to 205 mph due to being more track-capable than both the Boss 302 Mustang and the Shelby GT500. The GT500 goes up to 202. The test data was done by a stock ZL1 on bone-stock tires, not a modified one with drag slicks, though. BTW, the test data was reached by the ZL1 reaching 7,000 rpm instead of 6,250 in each gear for maximum performance. Here is the new paper for my brand new Chevrolet Camaro ZL1. It is a test paper. Oh, heck yeah! Even the (most powerful production V8) Ford Mustang Shelby GT500 (its main competitor), the Chevrolet Corvette ZR1, and the SRT Viper GTS can reach those kind of numbers! It would be nice if Chevrolet made a 2014 version of this in the Refresh like they did with the new Camaros, atleast this time they should get it on a diet WITHOUT changing the engine, and maybe even more racy then the Z/28. 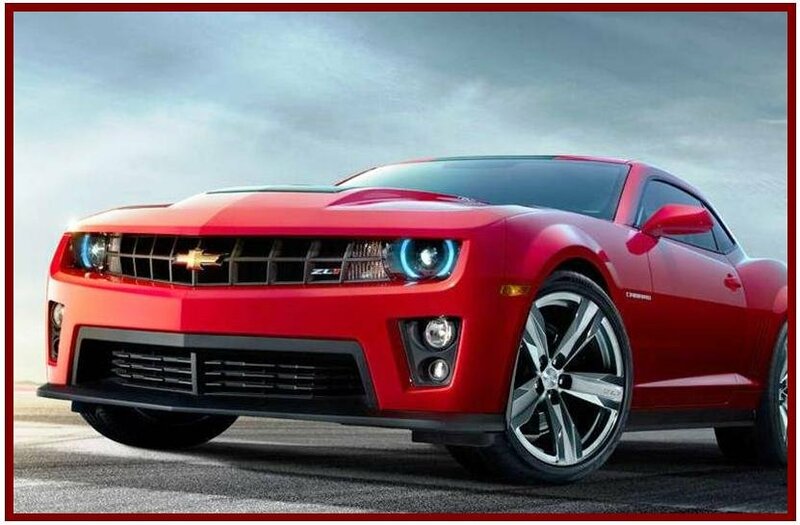 As it looks, the Z/28 will kill this ZL1, wether its acceleration or round track, dunno what there move choice for that one was, I think alot of people may get angry after purchasing a ZL1 for MORE money on a slower car, or atleast the kind of people that this car demograts after. Im thinking 585Bhp, 575Lb Ft, 200Lbs lighter, 325rear upgrated tyres, all the bells in whistles on the performance parts, more DF, withing keeping the price range. P.S. - Start a new column that adds the date of the timed run. Wake up!! Get this listing and the 1st 3 off the Nordschleife page. Wake up!! It would be lucky to 7:38 around Nordscleife. Yes, it's a real "6:38" laptime for Nordschleife. 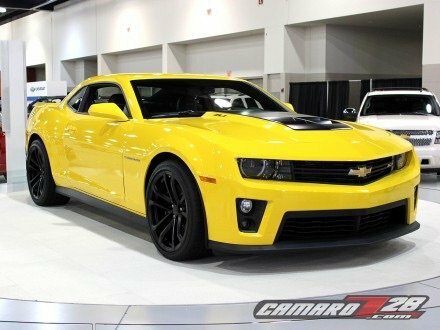 I just got back from the auto show in Ottawa yesterday they had a ZL1, mustang GT, challenger r/t and a corvette ZR1, among other cars I got to sit in all of them, I found surprisingly the challenger from the 4 had the best interior with the corvette and mustang being a close second and third, the camaro interior however had by far the cheapest feeling interior. sadly there was no viper though :/ but it was still a great show. The ZL1 ran the 11.9 on stock tyres, Radials were used to test the bearing in mind on the car, not the timed submitted run. Give this to a true pro, and see the time get even faster. The VIR Laptime you posted, was a Manufaktur laptime vs an Independant magazine laptime, so of course the Manufaktur laptime is gonna be faster, more time with the car, better driver, more laps means faster times, and the ZL1 has done a 2:51-53 time done by the manufaktur. theats a 4s difference between 1LE and ZL1 times for a Independant Mag, and a 7-5s difference between the Manufaktur laps. @Viking: That 11.93 sec run by the ZL1 was only done on drag radials, not stock tires.. The car is indeed stock, but not its tires. I don't think that time should be added =/ However, I do ask that someone please explain to me how is it that the Camaro 1LE with only 425hp was able to achieve an almost identical lap time as that of the 580hp Zl1 @ Virginia Int'l Raceway?? The ZL1's time around VIR is simply awesome. Never expected it to eclipse the 3 minute barrier. It appears it is quicker than every corvette but the Z06 with Z07 and the ZR1.